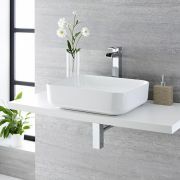 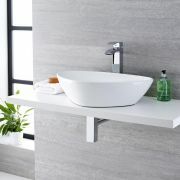 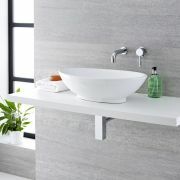 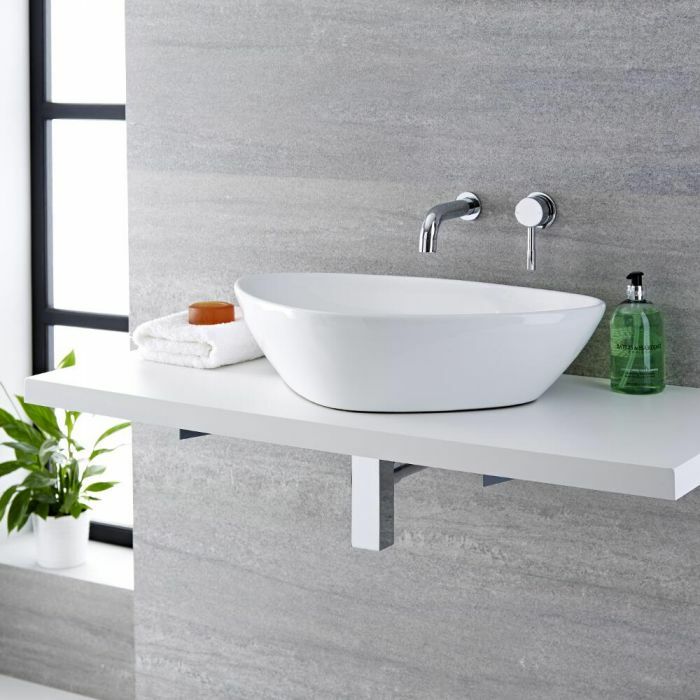 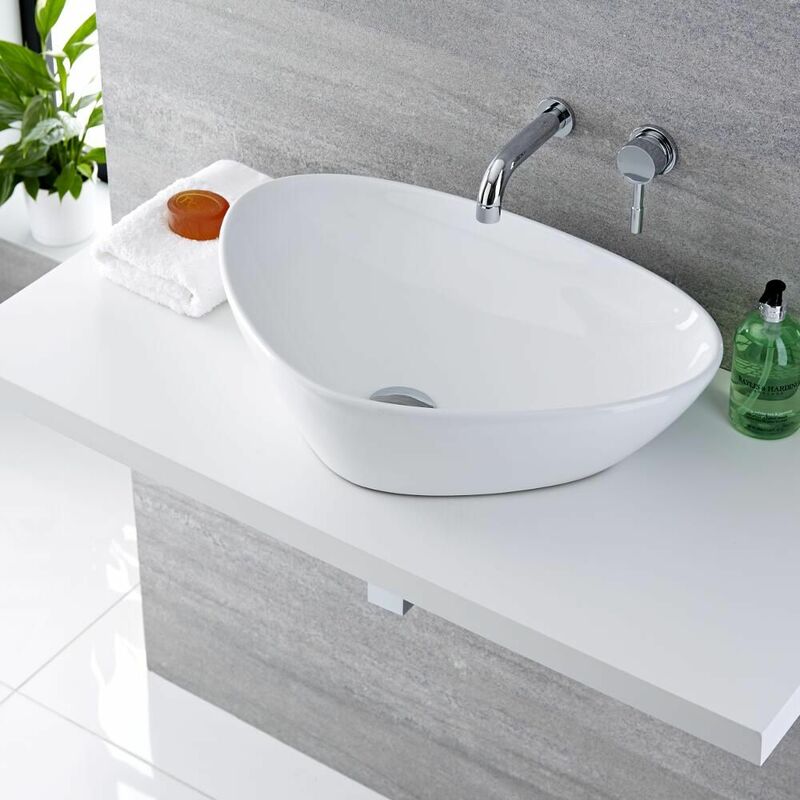 Creating a luxurious spa-style bathroom is easy to do with the Milano Select 590mm countertop basin and wall mounted tap set. 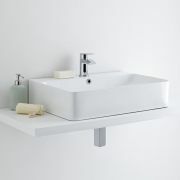 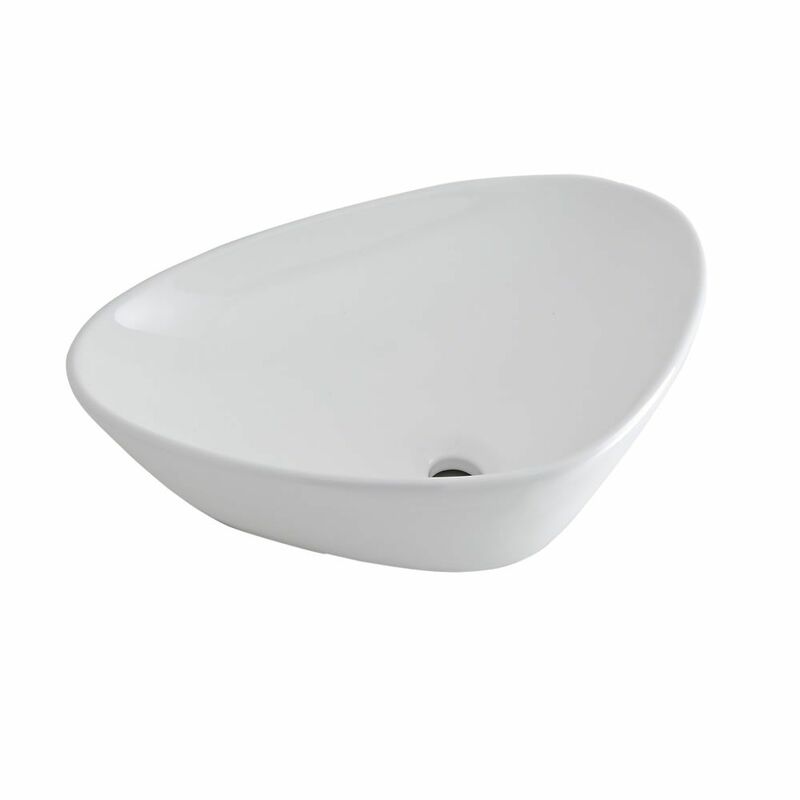 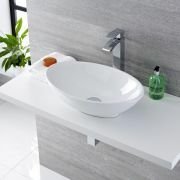 Crafted from premium quality ceramic and finished in a hard-wearing white glaze that’s easy to clean, the countertop basin features a beautifully designed soft triangular shape that’s perfectly enhanced by the wall mounted tap. 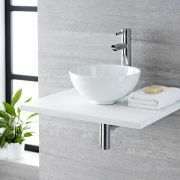 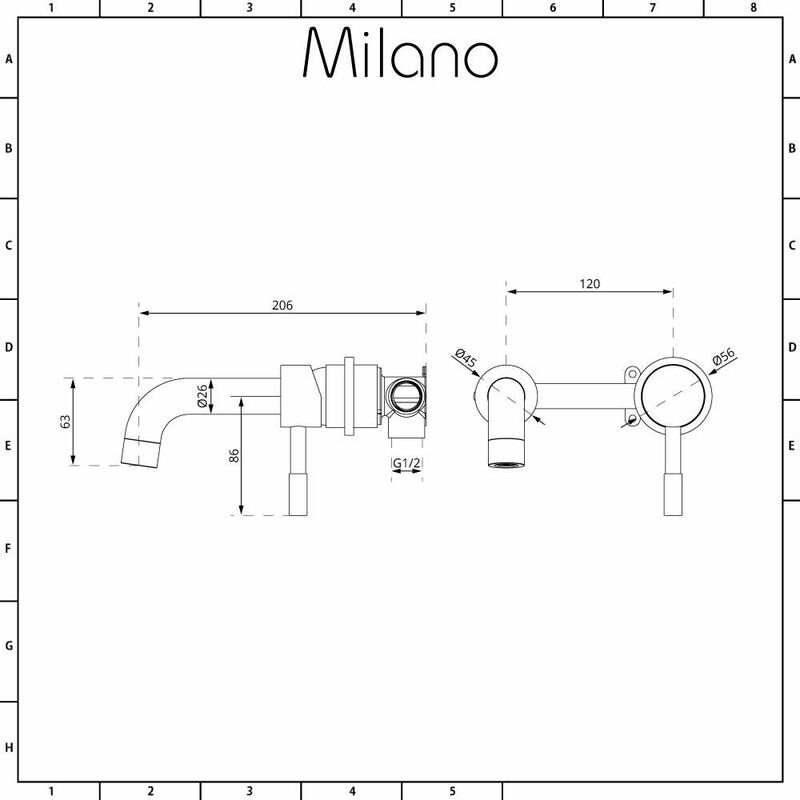 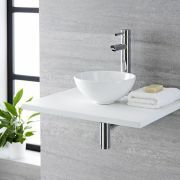 The wall mounted tap provides a sleek and minimal look. 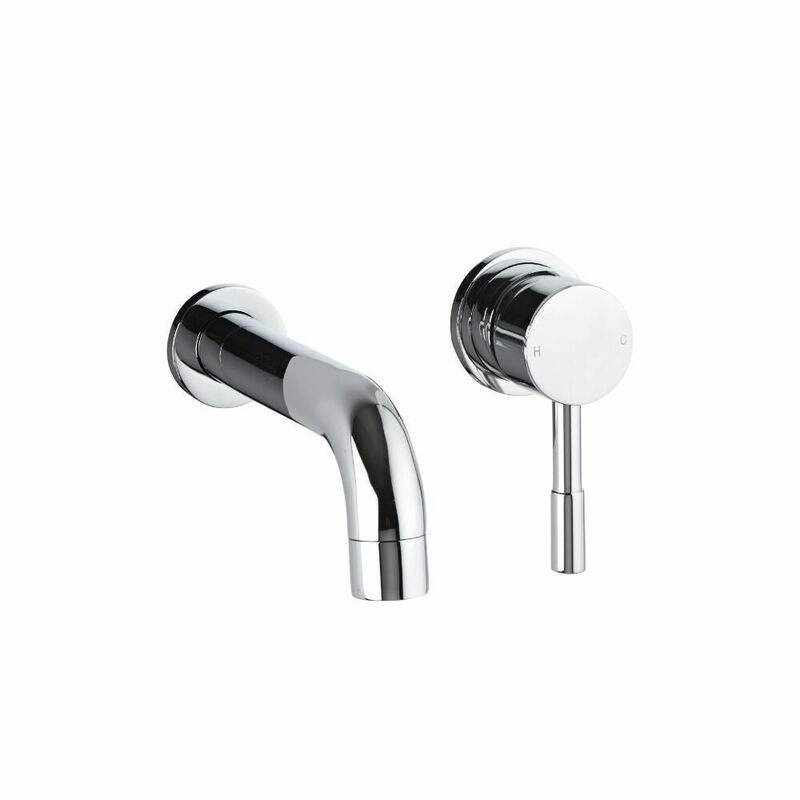 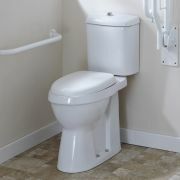 It has a solid brass construction and a brilliant chrome finish that blends seamlessly in with any bathroom décor.